Welcome! It is our pleasure to invite you to join the Reference Department as we venture into the Archives of the Hutchinson Public Library. In years past, many of our patrons have wondered where the Archives are located, and pondered the secrets they hold. While this might be a mystery to most, the Reference Department has guarded the key this entire time. It has taken special care in preserving the valuable history and information that is the past of our ancestors. The Reference Staff welcome researchers to request archived material, but not all of the material can be checked out with a library card. Some of the older items must be handled with care and kept safe within the library walls. 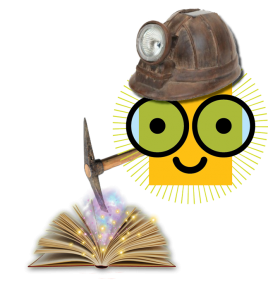 Mining the Archives is our new blog that will hopefully shine light on whatever treasures can be found in the basement of the library. We hope to enlighten your mind, enrich your thoughts, make you smile, and above all entertain you on the journey. Friday - Saturday 9 a.m. to 6 p.m.
Never miss a new find! Have notifications delivered straight to your Inbox.